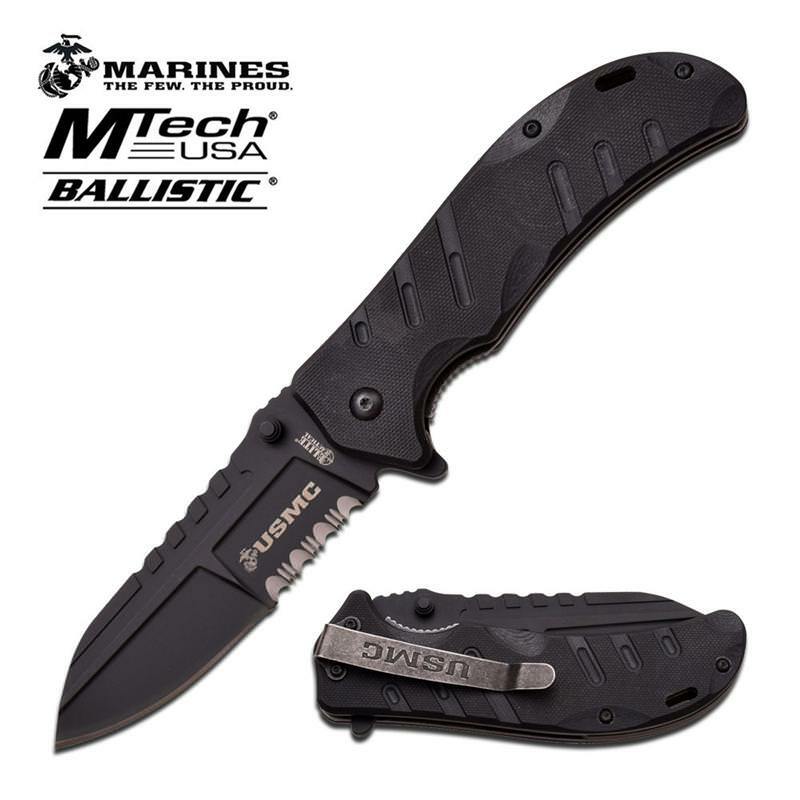 It has a black titanium half serrated blade which is 3.8 inch stainless steel. Has a G10 handle. A pocket clip is attached to the handle. Stock this today for maximising profits.